I loved this book. It's seriously so good. It is written from a perspective that is entirely different from anything I've read before. It takes a little while to get into it, but once you do, you can't put it down. I know the movie was very popular, but do yourself a favor and read the book. It is actually very different, so be prepared. I'm totally on the not-cool bandwagon and did not read this book until after I knew that JK Rowling wrote it. I am a nutty HP fan and so of course I had to read it (I read her other novel, The Casual Vacancy - well-written but super depressing). 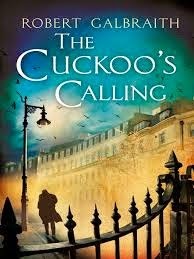 I really enjoyed The Cuckoo's Calling! It is somewhat of a mystery novel; the tale surrounds a private investigator who is hired to look into a super model's suicide. I won't go into any more details because I don't want to give anything away, but it's very good. This book has lots of buzz around it, so I was very interested to pick it up. Let's just say that it's a page turner. From the very beginning, you are completely hooked and I was pretty excited to see where it was going in the end. Without telling any of the story, I will say that the book deals a lot with the idea of fate and implies we have little control over the way our lives turn out. Even though I didn't necessarily agree with all of the perspectives, I do think it's a book that makes you think, which I like. I definitely recommend it. Have you read any of these books? Anyone have any other recommendations for me to add to my reading list? I liked Cuckoo's Calling a lot too! And I'm glad of that because I didn't really like Casual Vacancy. I LOVED Silver Linings Playbook (the book). The movie was decent, but I loved the book so much more. It had a slight The Perks of Being a Wallflower vibe to it - if you haven't read that, I highly recommend it - especially as a person who works with college students. Enjoy the long weekend, friend! 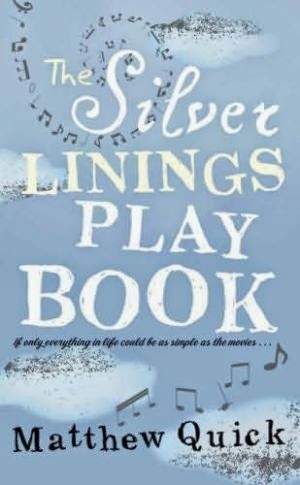 i have seen the silver linings playbook, how have i not read it?! i am a bad HP fan, i read the first page or two of the casual vacancy in a store and never got around to reading it. i dont like depressing... worth it? the husbands secret was already on my list, always a sigh of relief when another reader likes a book you want to read - my opinion is easily swayed sometimes, haha. definitely adding the first two to the list! I totally agree with you about the book. I read the book first and then watched the movie and was pretty disappointed at how different the screen adaption was because the book really carried a lot of weight to it and the movie didn't carry itself as well. YAY for book reviews. I'm a total bookworm too, so I love to hear what other people are reading and enjoying. I've read 2 of the 3. Silver Linings Playbook was one of my favorites last year. 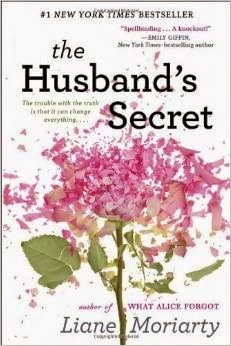 I just read The Husband's Secret and thought it was pretty good too. Maybe I'll have to check out Cuckoo's Calling. I haven't read any of these, but I heard Silver Linings Playbook was way different from the movie. I've seen the Husband's Secret pop up a lot lately. Might have to add that to my list. thanks for the reviews.. i am an avid reader as well :) & always in search of finding new books.. I loved A Cuckoo's Calling! It was great. I've heard a lot about A Husband's Secret and will have to check it out. Next on my list is Goldfinch. Everyone's I've spoken to has loved it, so I'm very excited to start it. I love reading. Right now I am in the midst of the new Brandon Sanderson book. Over 1000 pages. I know we share a love of Harry Potter. Do you read adult fantasy, too? I enjoy your book reviews. I do not read a lot of regular fiction but I did read "The Husband's Secret." I was the only one in book club that did not like it. And I picked it! I am definitely wanting to read "The Cuckoo's Calling"! I read the Husbands secret awhile ago and I was torn about it. I think the ending was the hardest part for me, I didn't like the choices made by the women. It was still a good read though. 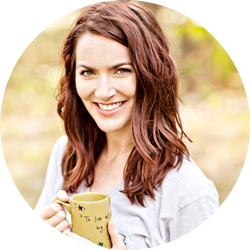 Perfect timing for you book review because I need a few summer reads! I have not read any of these yet but The Cuckoo's Calling and the Husbands Secret are on my read list. did I have anything to do with The Husband's Secret? :) definitely suspenseful. I would recommend it as well! I joined a book club at work, which has been really cool! definitely getting me to read books I wouldn't otherwise. we just read "We Are All Completely Besides Ourselves" and although it's a NY Times Bestseller, I can't really recommend it. my type-A personality just did NOT like how the story flowed. I will keep you updated on our next book though!